Why should I do an introduction winter mountaineering course with Climb365? Our Introduction winter mountaineering is a 5-day course which includes all the elements of the winter skills course. In addition, the winter mountaineering course focuses in more depth on the challenges of winter navigation and route choice in extreme conditions like white out or when there is high avalanche risk. We also cover safe ascent of steeper snow slopes, snow belay techniques and when to use them together with an introduction to winter scrambling. There is the opportunity in the week for clients to choose, plan and lead routes of their choice, making decisions about avalanche risk or route direction under the guidance of qualified instructors. So if you are a keen hill walker with a small experience of winter or a “Munro bagger” and want to safely enjoy the Scottish mountains in winter, then this winter mountaineering course will give you all the skills you need. No previous winter experience is needed for our winter mountaineering course, however, a degree of hill fitness is ideal to get the most out of the course. The night before: We’ll meet up with all the winter mountaineering course participants and run through the kit that you have, issue hired kit and discuss what you need to carry for each day. Winter skills including walking on snow and ice, using crampons, step cutting, ice axe breaking, and basic avalanche awareness. Mountain journey including more detailed avalanche awareness, route choice and Winter navigation skills including compass use, contour interpretation, timing and pacing to judge distance. Steep groundwork including snow belays and techniques for a safe ascent of steeper snow slopes. Emergency snow shelters will also be covered. 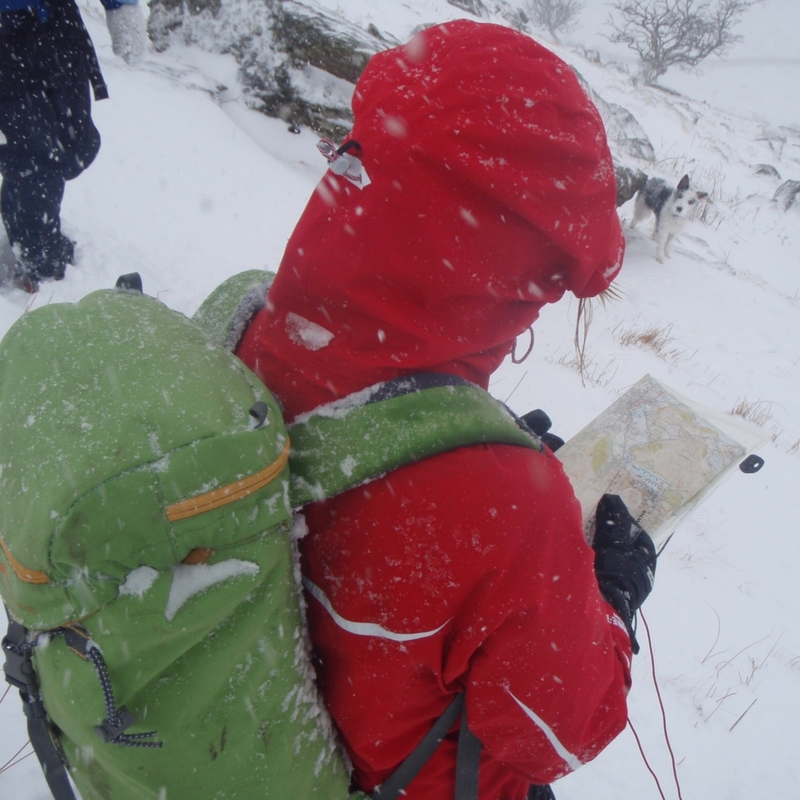 Advanced navigation skills including whiteout navigation, relocation skills, micro navigation and fine contour work. Route choice including avalanche awareness and weather considerations. There is an opportunity on this day for clients to choose, plan and lead routes of their choice, making decisions about avalanche risk or route direction under the guidance of qualified instructors. An introduction to winter scrambling. We aim to reach a summit by scrambling up a rocky ridge using crampons and mountaineering axe. 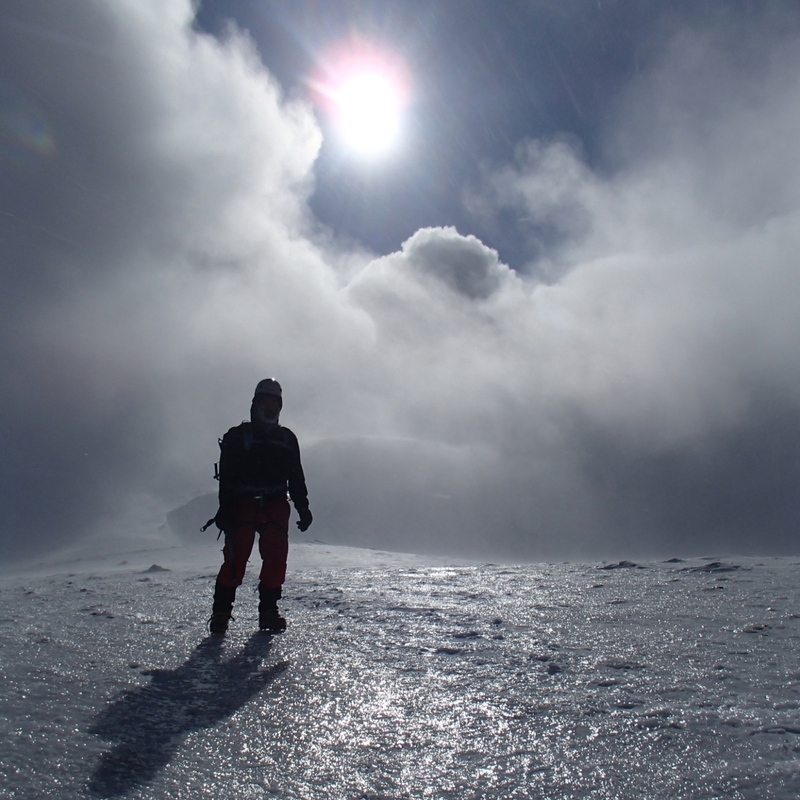 The order of the winter mountaineering days 2-5 may change weather dependant. Helmets, harnesses and any ropes we might use during the course. You will need to bring clothing suitable for the demands of a Scottish winter, here is a Winter kit list for you to download and check through. We often give advice to those buying new kit for the course. We know what works through experience and can advise you on the best kit for you prior to the course. The max ratio is 1 instructor to 6 mountaineers. However, if we have 1 person it enables us to tailor the week and introduce any skills that you feel you wish to cover.